Abstract : This PhD thesis is dedicated to the representation of trees for high quality or real time landscapes rendering. 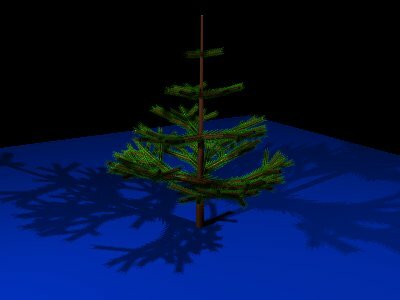 Techniques of tree modeling give good results in terms of diversity of species and shapes. However, the multitude of polygons of their geometrical representations generates a high computing cost and important problems of aliasing at rendering. Mesh simplification in order to build levels of details is not adapted to trees since it alters global illumination and opacity, because of the discontinuous repartition of the leaves. With the idea of representing groups of primitives (leaves or branches) using packets combining geometric and photometric appearance, we have introduced two new representations. The first, intended to high quality rendering, is based on the analytic computation of the global illumination model of a geometric branch of needles. By using the knowledge of the geometric distribution of needles, we computed analytically a hierarchy of three shaders able to represent effect of lower levels, without sampling and with self-shadowing and visibility. The analytic aspect of these shaders allows in the same time the acceleration of computing time and good image quality, particularly with little aliasing. The second, intended to real time rendering, is based on hierarchical sets of images corresponding to the sampling of view and light directions, which we render using billboards by interpoling images. We associate a precomputed visibility structure, based on visibility cubes maps, for self-shadowing and shadows. 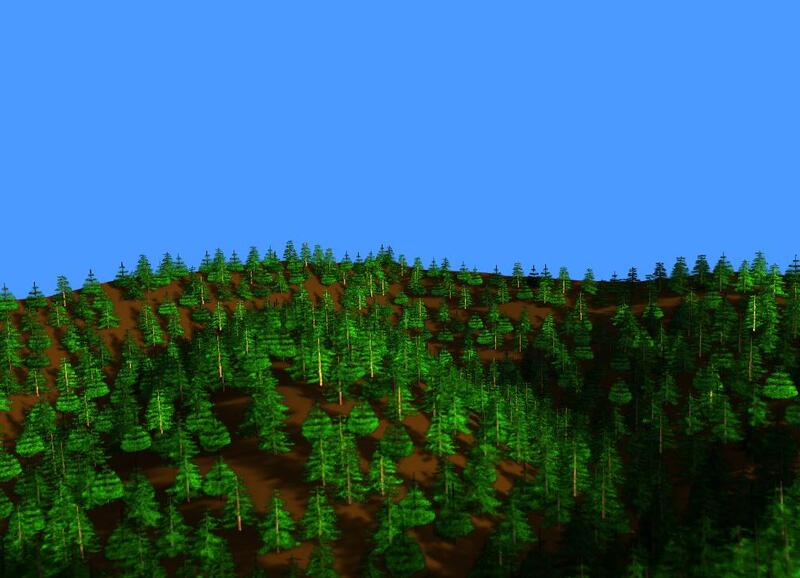 Our implementation allows the interactive rendering of a forest of 1000 trees with shading, self-shadowing, shadowing and the capability of moving light position interactively. Keywords : Computer Graphics Natural Scenes Shaders Ray-tracing Levels of Details Real-Time Rendering Realism Visibility Shadowing.